Background/Info: 2017 has been a major year for German Palast trio. They released this self-entitled debut full length and went on tour as support act for Mono Inc. Content: Palast moves on there where they stopped on their previously released “Hush”-EP. The sound is a mix of multiple influences and played by electronics and guitar. Some of the tracks are getting back to the 80s vaguely evoking an imaginary hybrid between Duran Duran and Gary Numan while other cuts are more into a mix of new-wave and rock music. 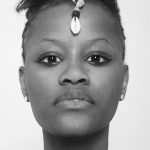 + + + : “Palast” is a quite accessible work, which has the power to seduce numerous music lovers. That’s because of the perfect assimilation of all influences, which will now please new-wave lovers and then music fans listening to pop & rock music. The songs are entertaining while I especially love “When You Fall” for the opening part reminding me to U2 (cf. “New Year’s Day”) and progressively evolving into a powerful pop song carried by great guitar play. I also like some bombastic arrangements in the global drums production. Last, but not least this band is also driven by a talented singer. 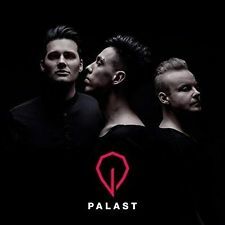 – – – : “Palast” reveals cool songs, but I’m missing some details especially in the choruses. Some extra melodic lines would have made it more accomplished. Conclusion: Palast awakens some good-old souvenirs and has achieved an enjoyable work although without a climax. Best songs: “When You Fall”, “Nightfall”.